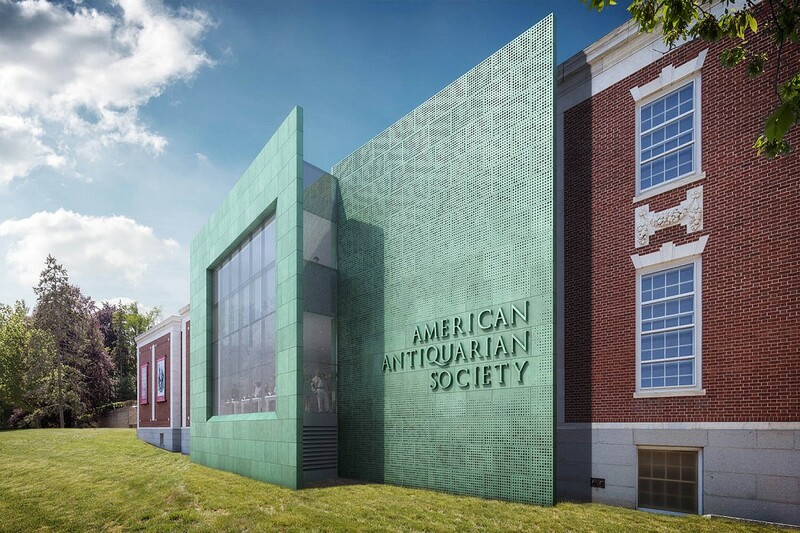 The American Antiquarian Society (AAS) collects and preserves everything printed and published in America from early European settlement through 1876, making the material available for all manner of research. AAS sponsors numerous fellowships every year for academics and creative professionals to come study the collections from all over the U.S. 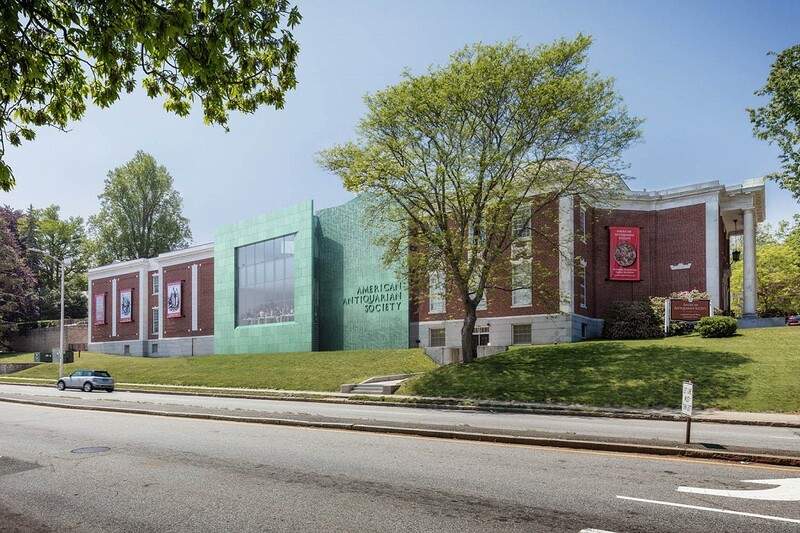 The proposed expansion not only provides sorely needed space for public programming, conservation and mechanical equipment, it presents an open and welcoming face to the public. The new wing will allow AAS to enlarge its program for K–12 education, visiting scholars, and the general public. The new conservation suite will expand the department’s training and research capabilities, as well as the breadth of its treatments. The renovation of stacks A, B, and C will provide an archival-quality climate control system. It is important that AAS, as a major research institution, remains available to the public during renovations. The project team has developed a phasing strategy that will allow staff and collections to remain on-site throughout construction, with no interruptions to daily operations, even though the project involves replacing all existing air handlers and boilers.